DALLAS — An MMA fighter suspected in two murders who escaped from a prison van near Houston was recaptured less than a mile away still wearing his jail-issued orange jumpsuit in part thanks to a local company’s surveillance video, police said Monday. 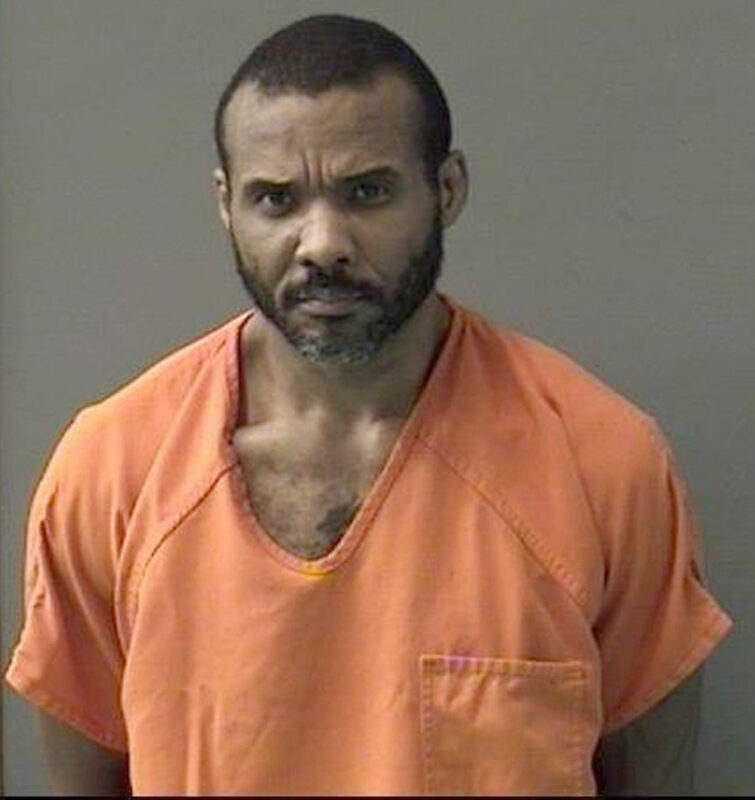 Cedric Joseph Marks escaped from the van Sunday morning when guards with the Texas Prisoner Transportation Service stopped at a McDonald’s in Conroe, about 40 miles (65 kilometers) north of Houston. Two guards in the van were transporting 10 prisoners, the Conroe Police Department said in a statement. Police and the company have not commented on why the van stopped at the fast-food restaurant or how Marks escaped. Authorities have said the 44-year-old middleweight fighter was wearing leg, hand and belly restraints when he managed to flee. No guards or other prisoners were injured in the escape, Conroe police Lt. Dorcy McGinnis said Monday. The search for Marks narrowed after surveillance video showed him near a business in Conroe, McGinnis said. He was found hiding in a trash can in a residential neighborhood less than a mile from the restaurant around 4:45 p.m. — about nine hours after he escaped. He had freed an arm and a leg from his shackles, McGinnis said. She declined to say whether authorities believe Marks was able to partially free himself from the shackles or if he was improperly secured. The company bills itself on its LinkedIn page as offering “cost effective” prisoner transportation to law enforcement in moving “the nation’s most-wanted fugitives.” It operates eight vehicles and employs 19 drivers, according to U.S. Department of Transportation records. The Bell County Sheriff’s Department contracted with the transportation service to bring Marks from Michigan, where he was arrested. Marks was being held Monday in the Bell County Jail on charges including capital murder, burglary and violating a protective order, according to online jail records. His bond was set in excess of $1.75 million. He is suspected in the killings last month of his ex-girlfriend, Jenna Scott, and Scott’s friend, Michael Swearingin, in the Central Texas city of Temple. Both disappeared on Jan. 4. Their bodies were found Jan. 15 buried in a shallow grave in Clearview, Oklahoma. Marks was arrested in Michigan last month on a burglary charge in Bell County, Texas, alleging he had broken into Scott’s home in Temple in August. He was being transported to Bell County to face that charge when he escaped. Murder warrants were issued Sunday.